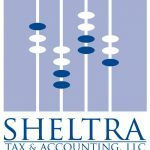 Sheltra Tax & Accounting, LLC — founded by Diana Sheltra, EA — is a full-service tax preparation, tax resolution, and bookkeeping and accounting firm in Essex Junction, Vermont. Diana is also a certified QuickBooks Advanced Proadvisor and can assist in all versions of QuickBooks setup, training, and troubleshooting. Work For Sheltra Tax & Accounting, LLC? Claim This Page.